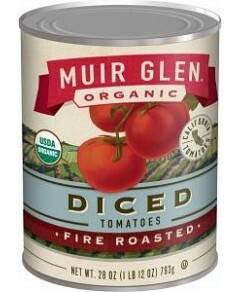 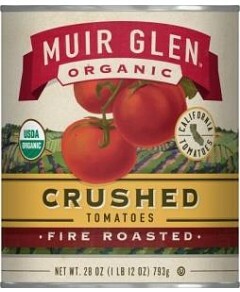 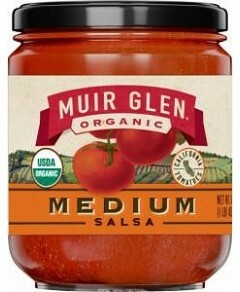 Muir Glen organic diced tomatoes are the main ingredients. 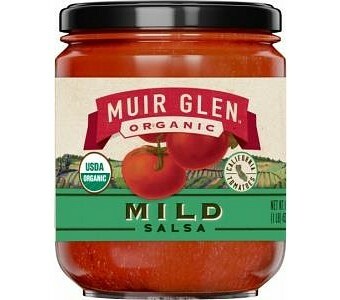 For those wishing a milder flavour, we've toned down the heat, but kept our fabulous combination of organic onion and pepper flavors! 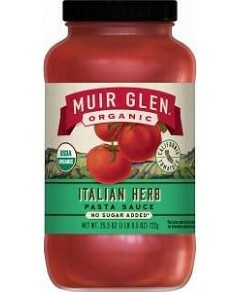 Ingredients: Organic diced tomatoes in juice, organic tomato puree (organic tomato paste, water), organic onions, organic green bell peppers, organic garlic, organic cilantro, organic lime juice, sea salt, organic jalapeno pepper puree, organic vinegar, naturally derived citric acid, naturally derived calcium chloride.